JOURNEY OVER FOUR DECADES TO DISCOVER NEW DEFINITIONS OF STROKE AND TIA FOR 21ST CENTURY: ARE WE READY FOR THE CHANGE? 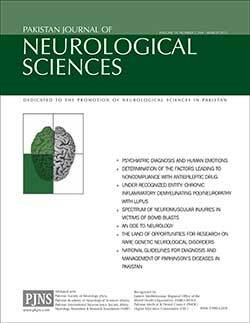 Dr Saima Nazish,Dr Bashir A Soomro,Dr Shafaq Alvi Neurology section, Department of Medicine. Ziauddin university hospital Karachi. 1Professor of Neurology, Neurology Research Center, Kerman University of Medical Sciences, Kerman, Iran. 2Associate Professor of Infection Disease, Qum University of Medical Sciences, Qum, Iran. 3Assistant Professor of Neurology, Yazd University of Medical Sciences, Yazd Iran. 5Associate professor of Epidemiology, Rafsanjan University of Medical Sciences, Rafsanjan, Iran. 6Rafsanjan University of Medical Sciences, Rafsanjan, Iran. The Children Hospital & Institute of Child Health, Lahore. Postgraduate Trainee General Medicine, Shifa International Hospital, H-8/4, Islamabad. Amer Ikram (Doctors Hospital, Lahore), Bashir Soomro (Ziauddin, Karachi), Naila Shahbaz (DUHS, Karachi) Mughis Sheerani (AKU, Karachi), Sarwar Jamil (AKU, Karachi), Ahsan Numan (services Hospital, Lahore) Manzoor Lakhair (LUMS, Jamshoro), Irshad Awan (PIMS, Islamabad), Saleem Barech (BMC, Quetta) Haroon Basheer (Pakistan Parkinson’s Society). Nadir A Syed (South City,Karachi), Farwa Ali (South City Hospital, Karachi), Khalid Sher (JPMC, Karachi) Amer Ikram (Doctors Hospital, Lahore), Bashir Soomro (Ziauddin, Karachi), Naila Shahbaz (DUHS, Karachi) Mughis Sheerani (AKU, Karachi), Sarwar Jamil (AKU, Karachi), Ahsan Numan (services Hospital, Lahore) Manzoor Lakhair (LUMS, Jamshoro), Irshad Awan (PIMS, Islamabad), Saleem Barech (BMC, Quetta) Haroon Basheer (Pakistan Parkinson’s Society).